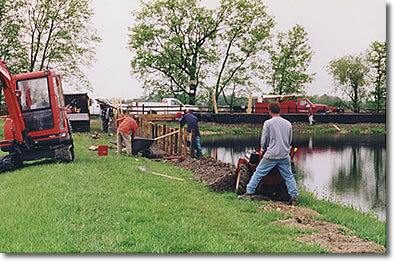 Construction crew installs supplemental aerators to this treatment lagoon for performance enhancement. 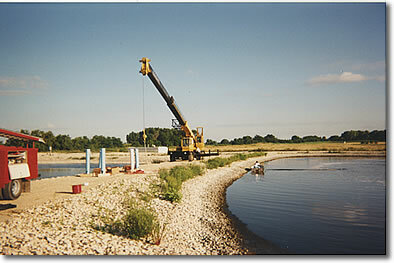 Staff installs a 2,000 foot dike around a treatment lagoon for additional capacity. 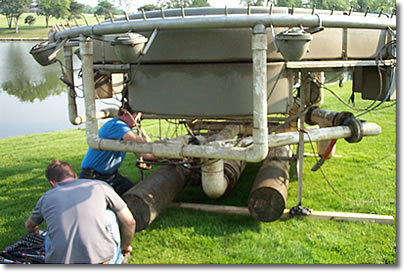 Our staff operates a typical fire/irrigation pump station. 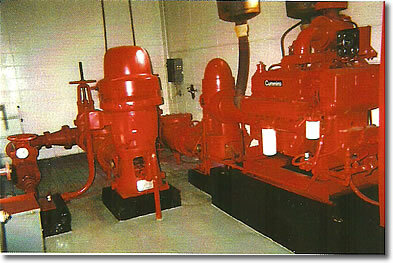 Each one has an electric pump and a diesel pump which is capable of pumping 3,000 gallons per minute. 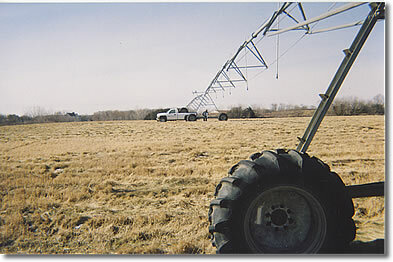 The maintenance crew changes the tire on this center pivot irrigation rig which uses reclaimed wastewater to irrigate a 17 acre field. 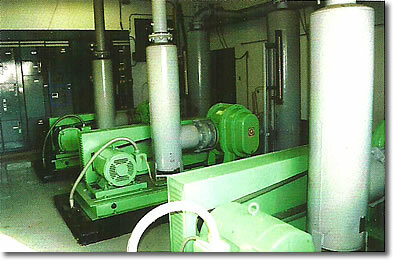 Town and Country Utilities personnel operates aeration/blower rooms such as this one operated for over 20 years. 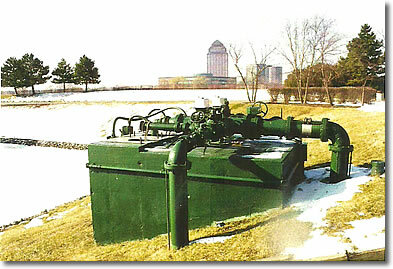 The maintenance department maintains all mechanical equipment for a fountain located in a large office park.